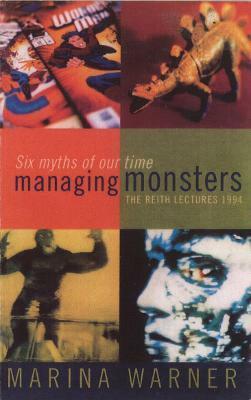 In early 1994 Marina Warner delivered the prestigious Reith Lectures for the BBC. In a series of six lectures, she takes areas of contemporary concern and relates them to stories from mythology and fairy tale which continue to grip the modern imagination. She analyses the fury about single mothers and the anxiety about masculinity in the light of ideals about male heroism and control; the current despair about children and the loss of childhood innocence; the changing attitude of myths about wild men and beasts and the undertow of racism which is expressed in myths about savages and cannibals. The last lecture, on home, brings the themes together to examine ideas about who we are and where we belong, with reference to the British nation and its way of telling its own history. Using a range of examples from video games to Turner's paintings, from popular films to Keats, Marina Warner interweaves her critique of fantasy, dream and prejudice. "This is a writer with power to change your imagination"
Marina Warner spent her early years in Cairo, and was educated at a convent in Berkshire, and then in Brussels and London, before studying modern languages at Oxford. She is an internationally acclaimed cultural historian, critic, novelist and short story writer. From her early books on the Virgin Mary and Joan of Arc, to her bestselling studies of fairy tales and folk stories, From the Beast to the Blonde and No Go the Bogeyman, her work has explored different figures in myth and fairy tale and the art and literature they have inspired. She lectures widely in Europe, the United States and the Middle East, and is currently Professor in the Department of Literature, Film and Theatre Studies, University of Essex. She was appointed CBE in 2008. www.marinawarner.com.